A rather weathered French 1911 model with some later features: clip fit carb, single fork spring, 1912 type front mudguard. 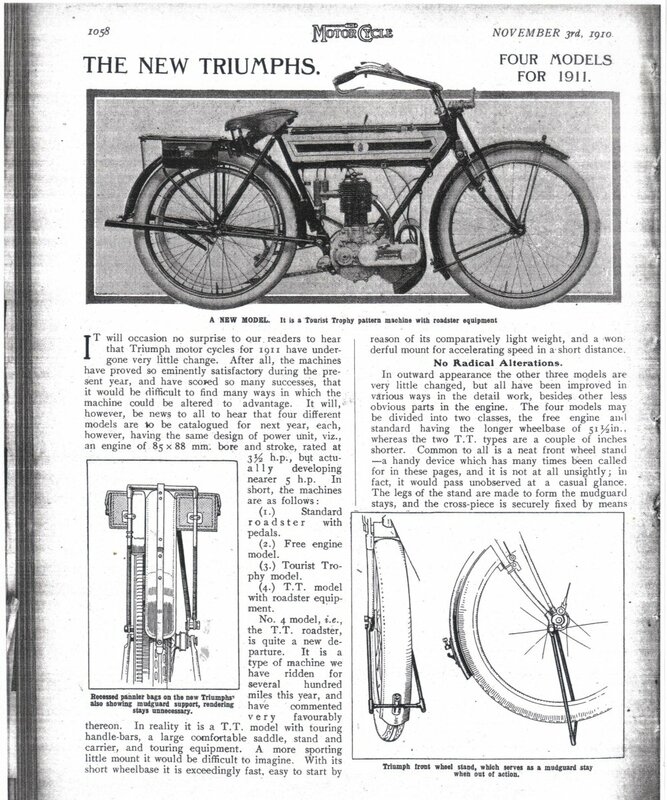 Note the right hand side rear brake rod. 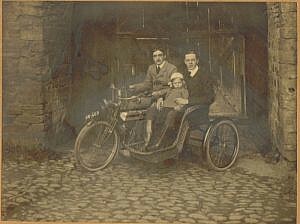 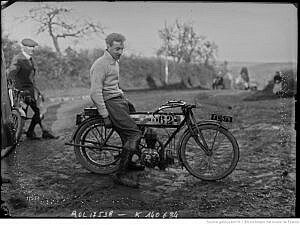 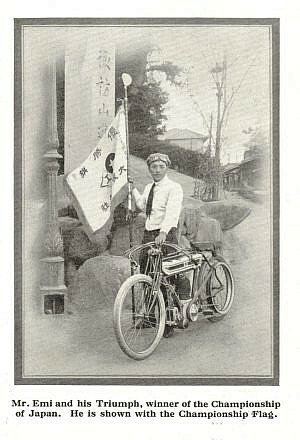 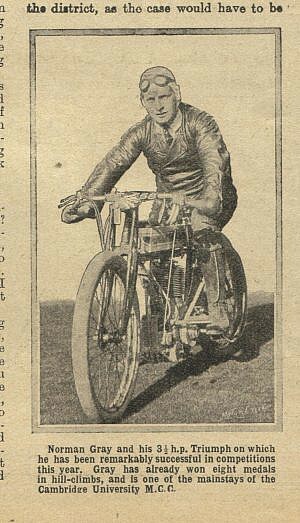 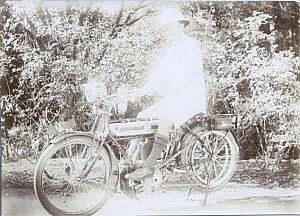 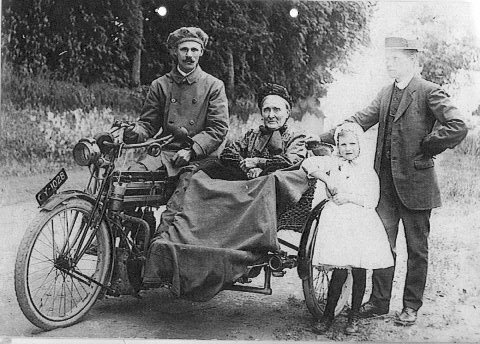 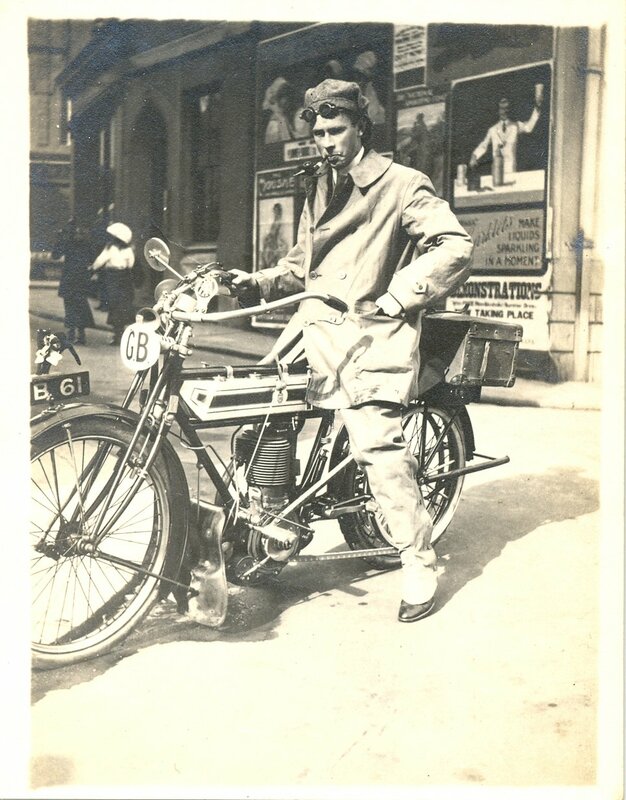 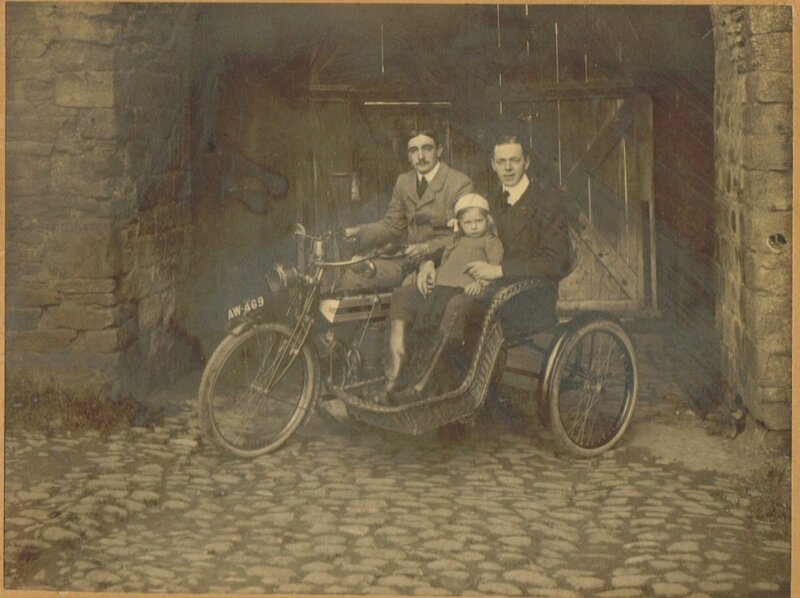 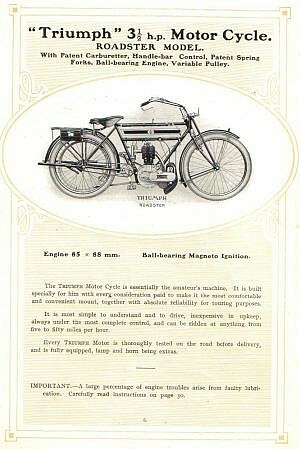 1911 model (with 1912 type front mudguard? ); the rider's clothes must have been unbelievably white! 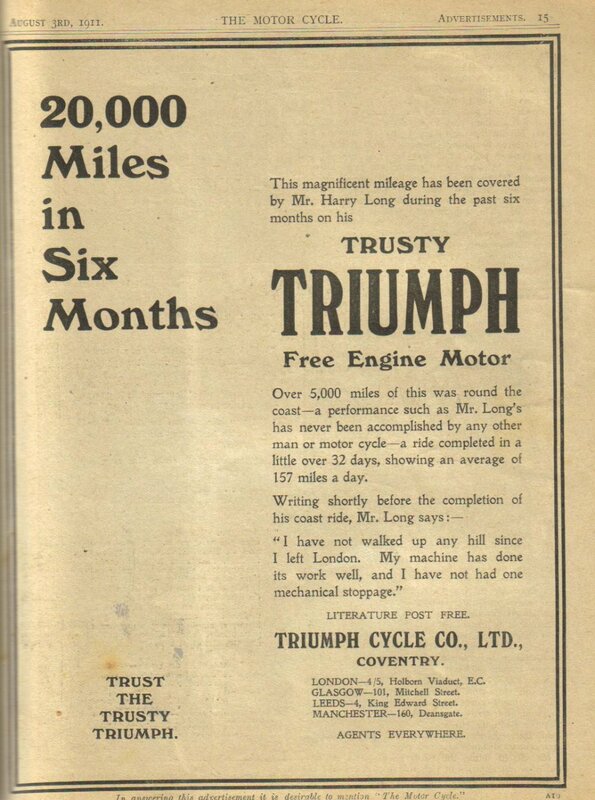 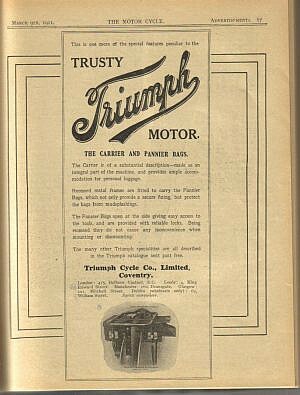 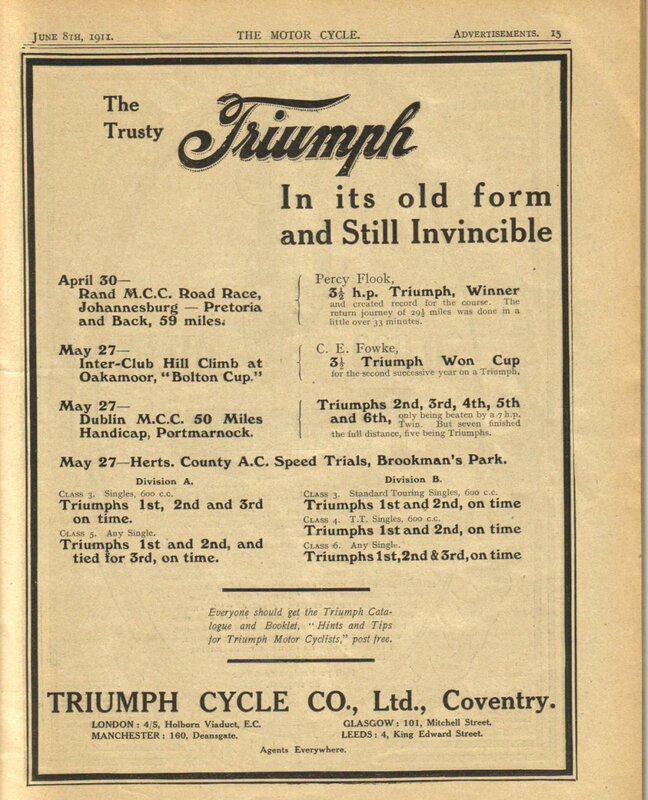 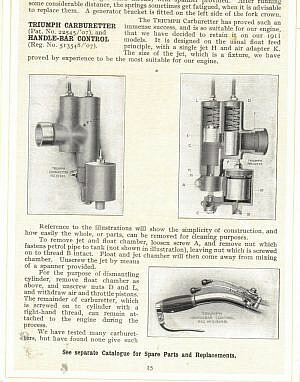 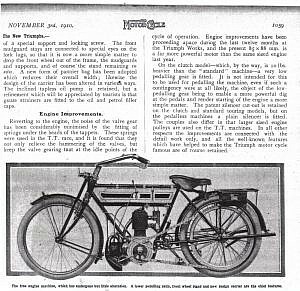 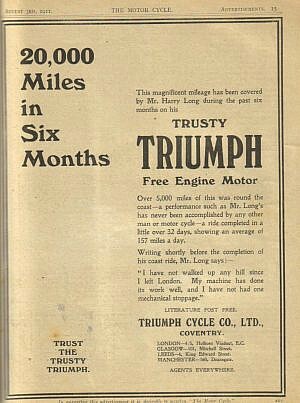 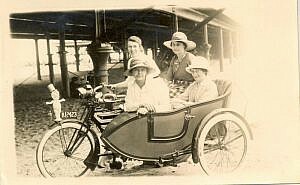 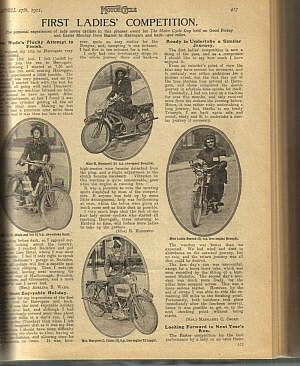 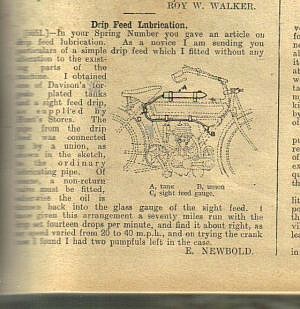 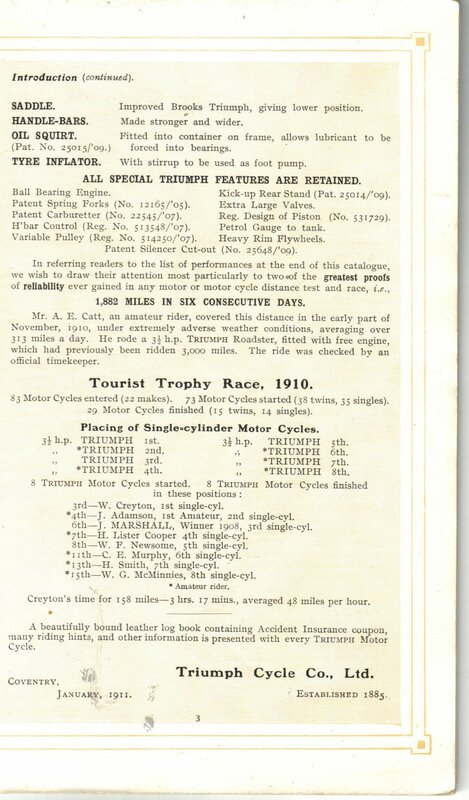 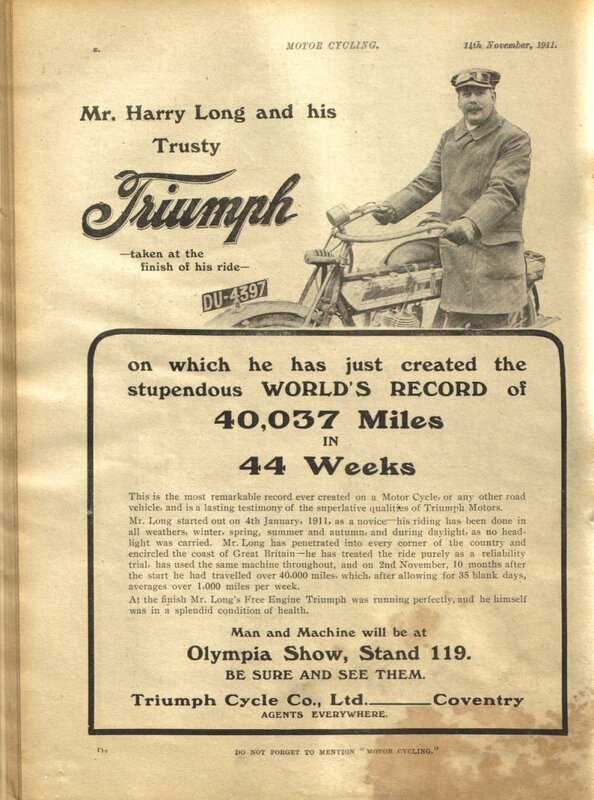 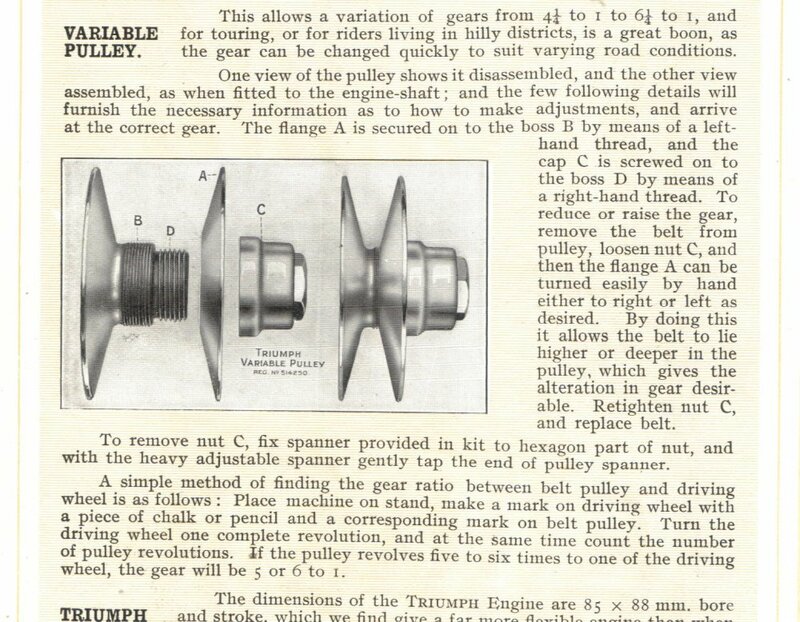 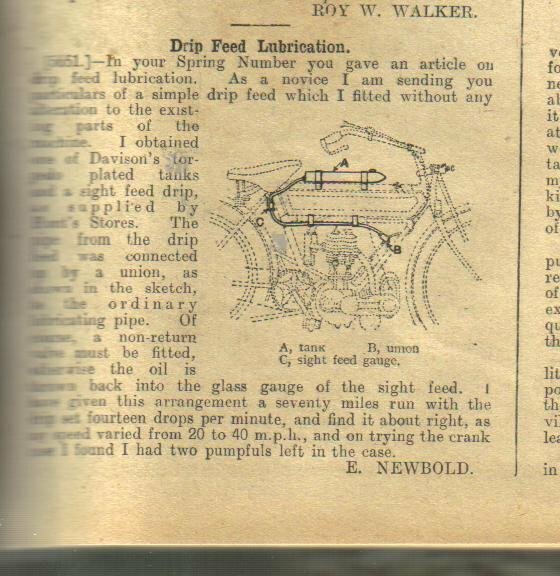 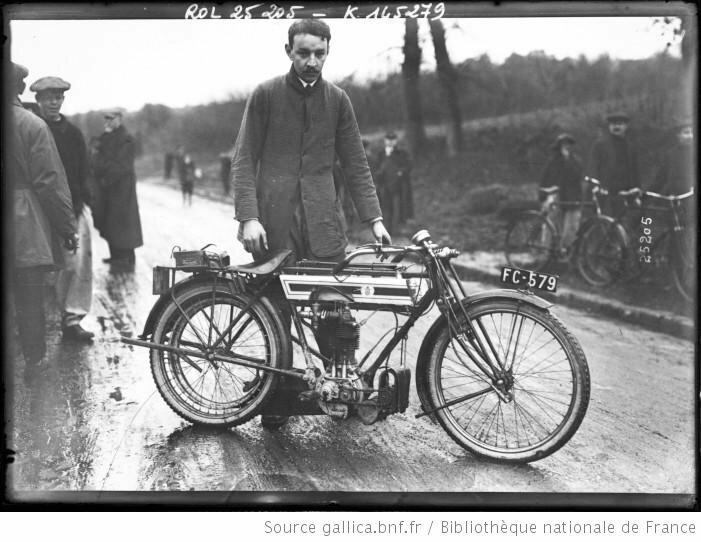 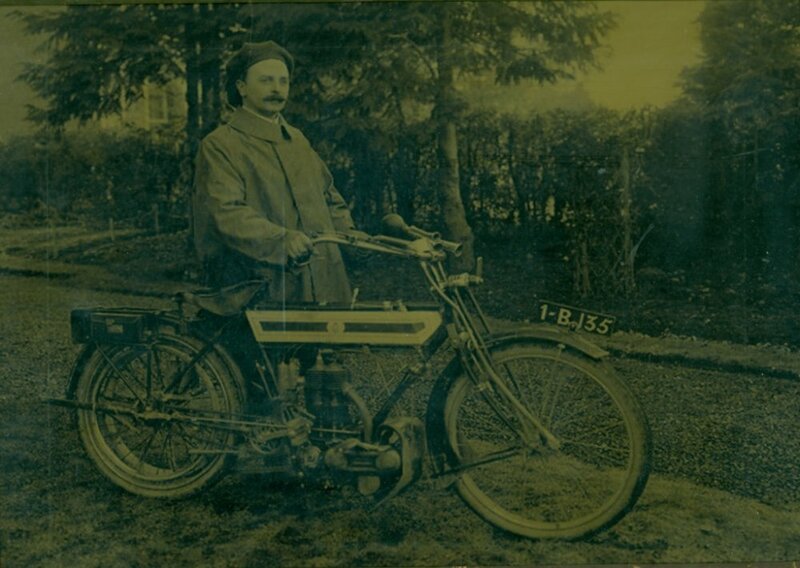 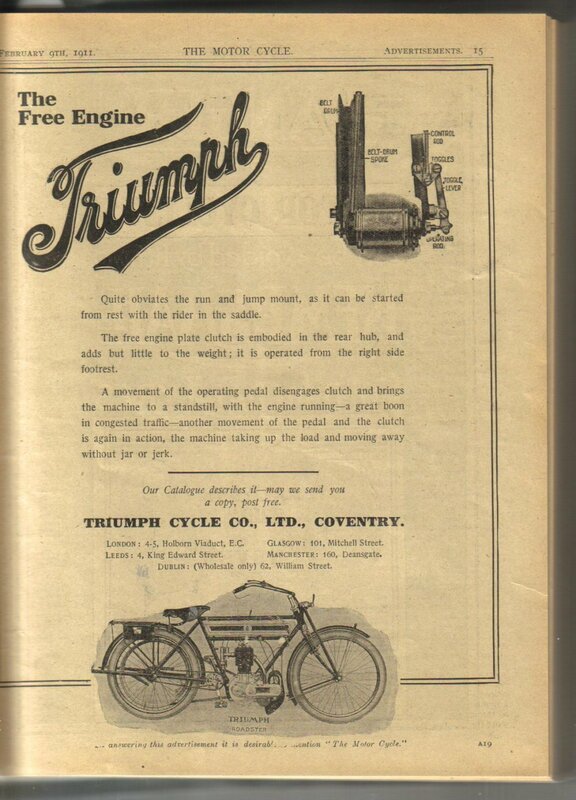 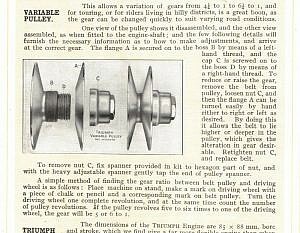 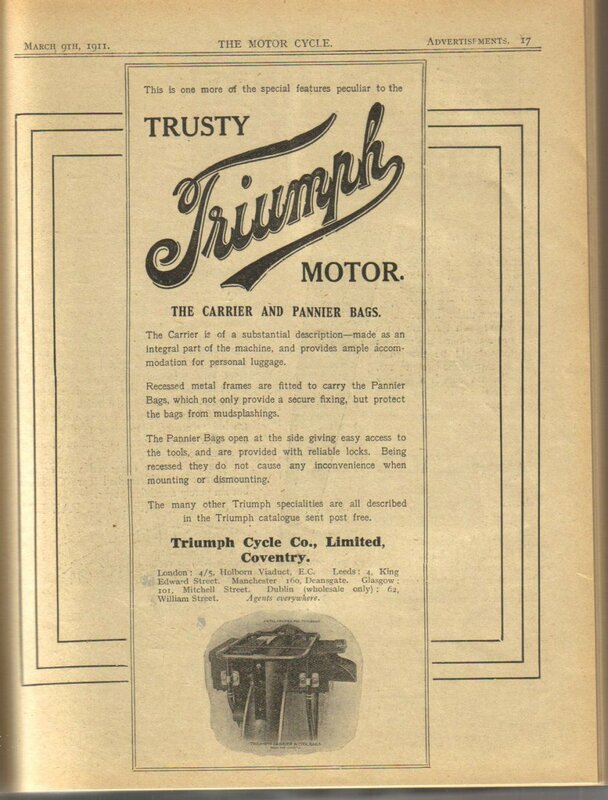 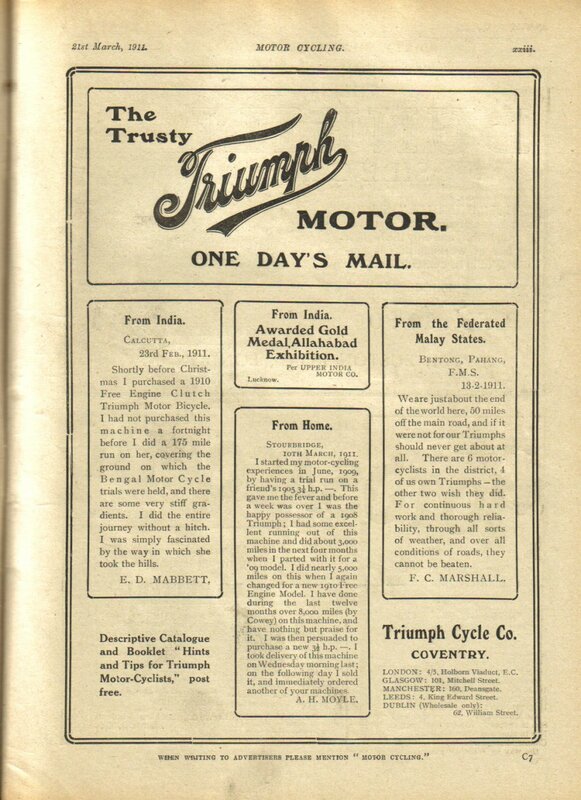 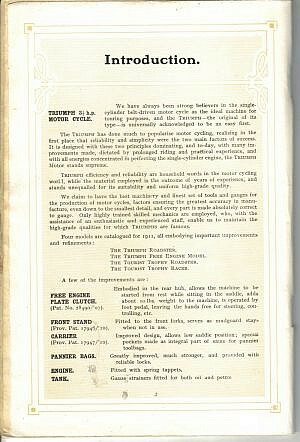 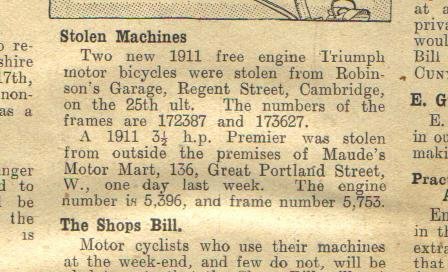 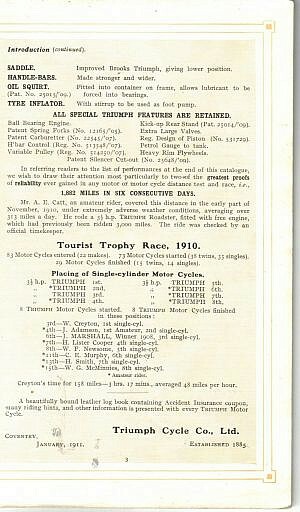 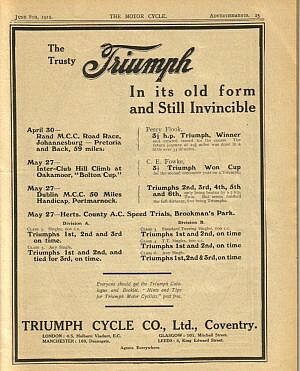 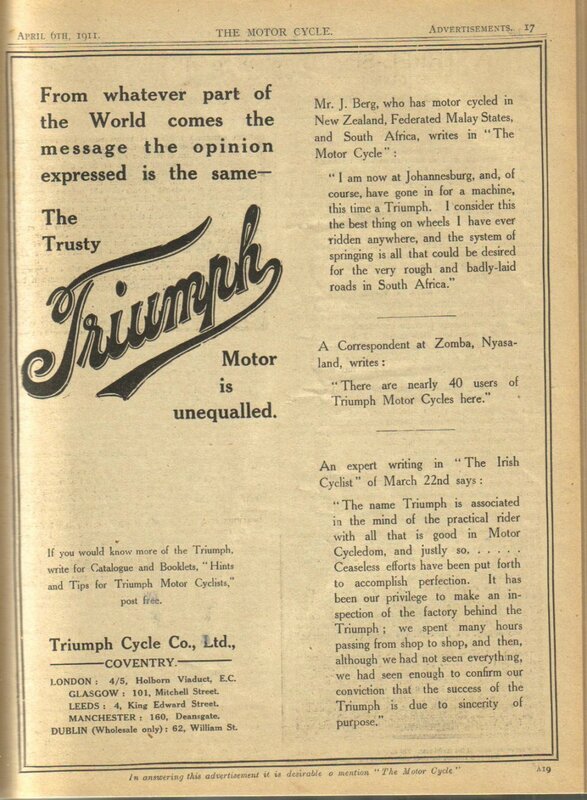 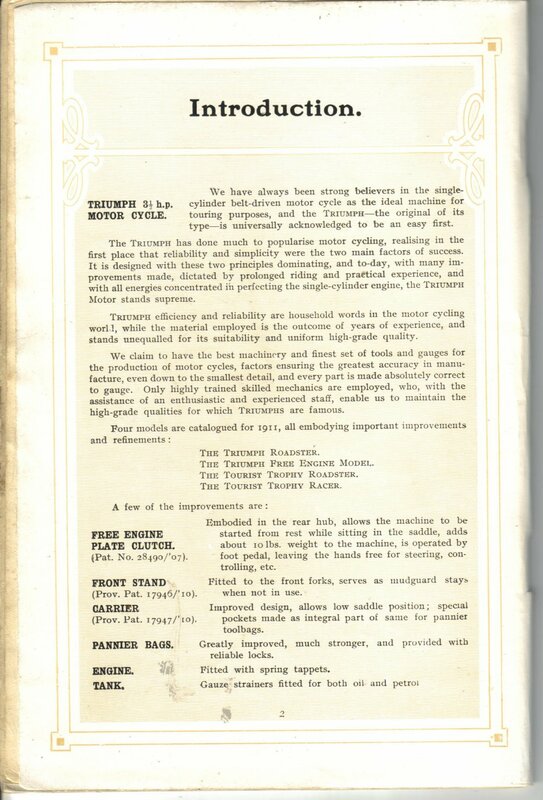 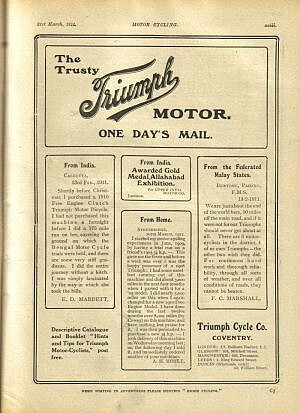 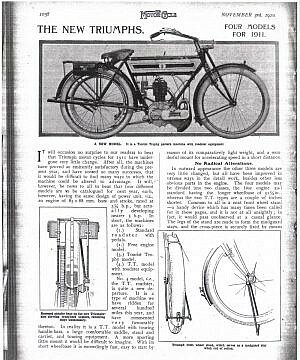 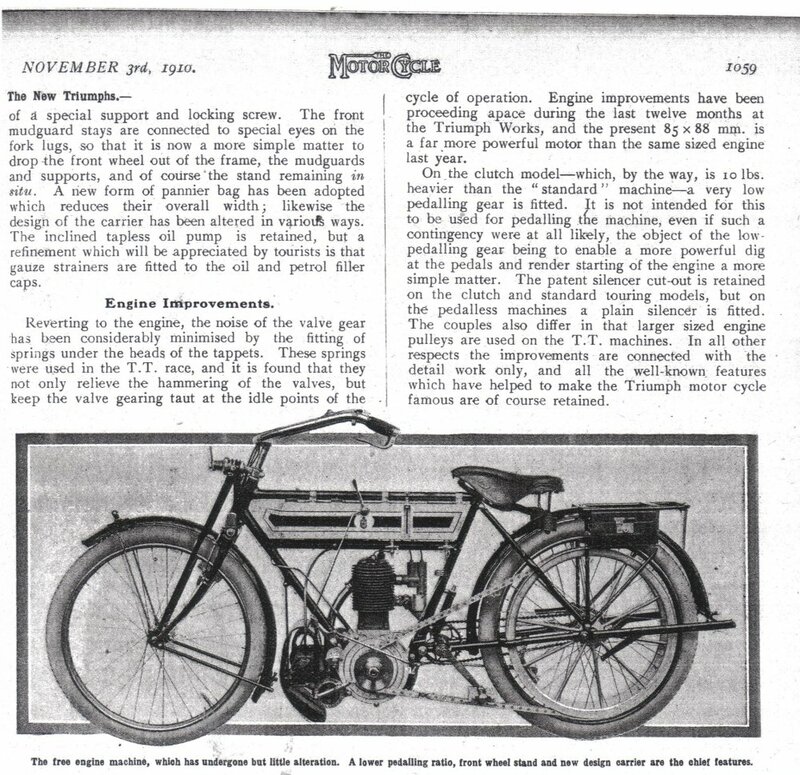 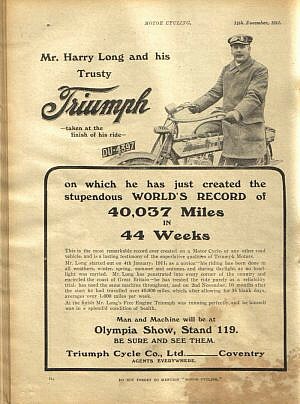 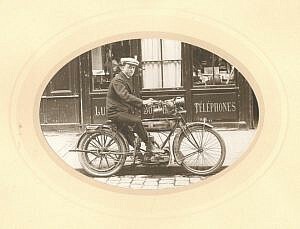 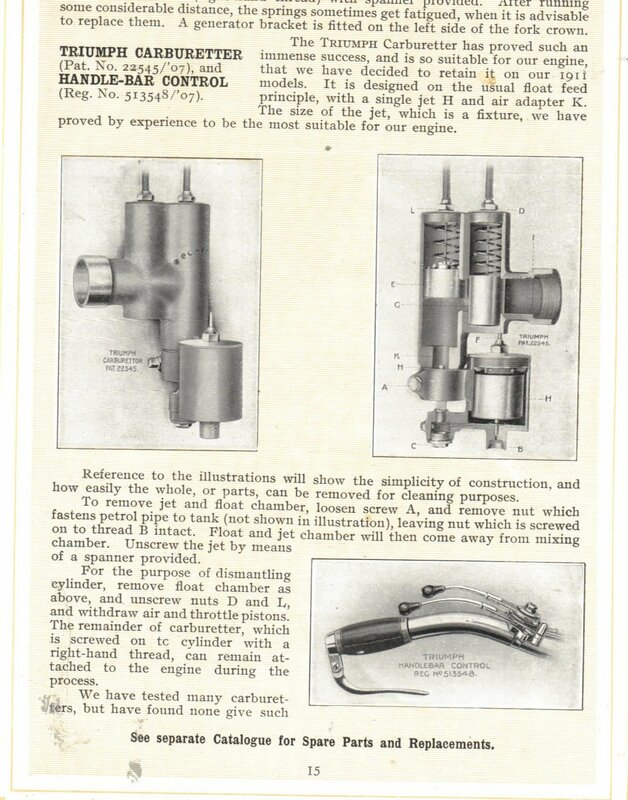 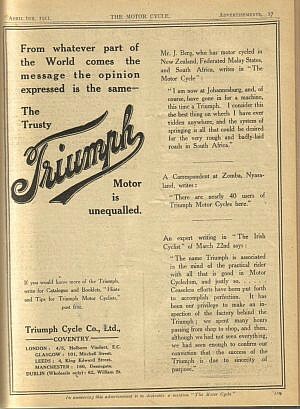 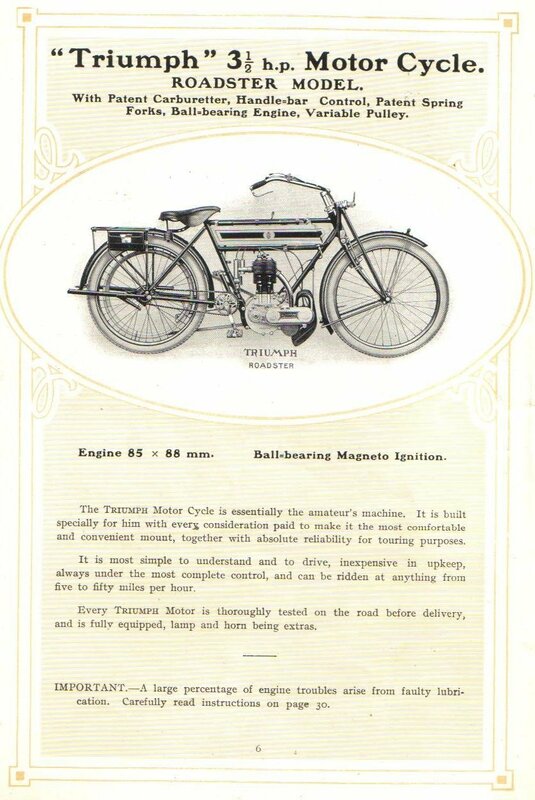 1911 models should have a low pedalling gear for the Free Engine models only ( see scan page 1059 The Motor Cycle) but the catalogue shows a small chainwheel for the Roadster as well. Same in 1912! 1911 model with seemingly 1912 type mudguard. 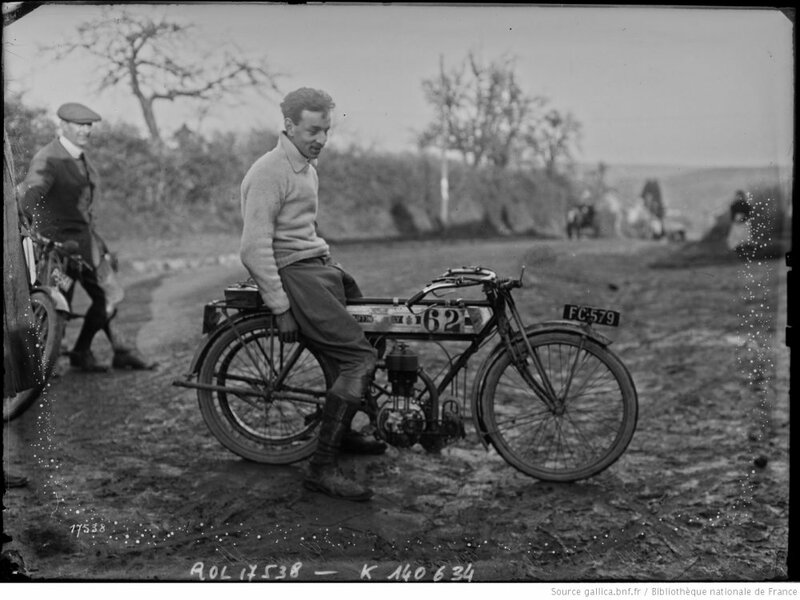 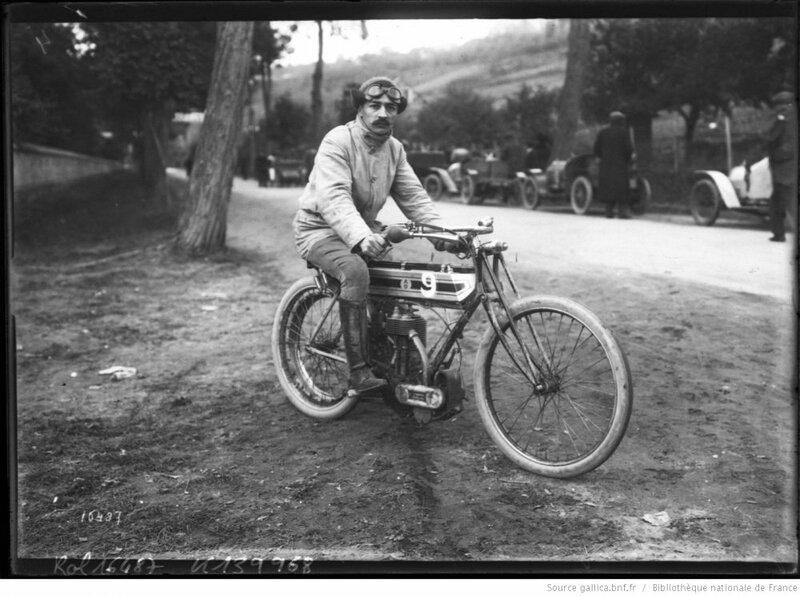 Note rear view mirror - not often seen on veteran machines- and mascotte on front number plate. 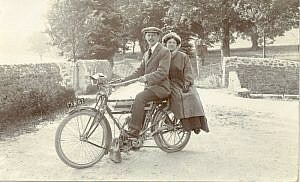 circa 1911 I'd say. Reg is East Suffolk, does anyone recognize the Pier?